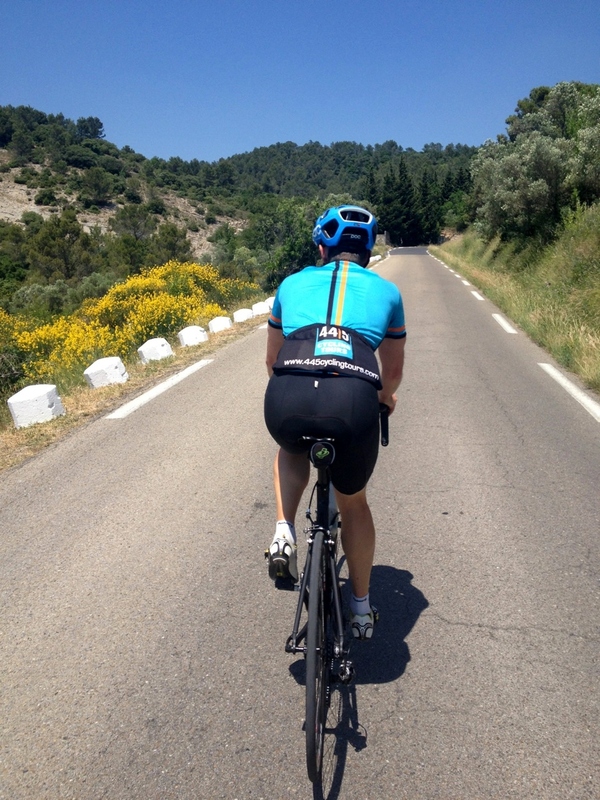 John and I went out for a ride today in matching jerseys. We even planned it. 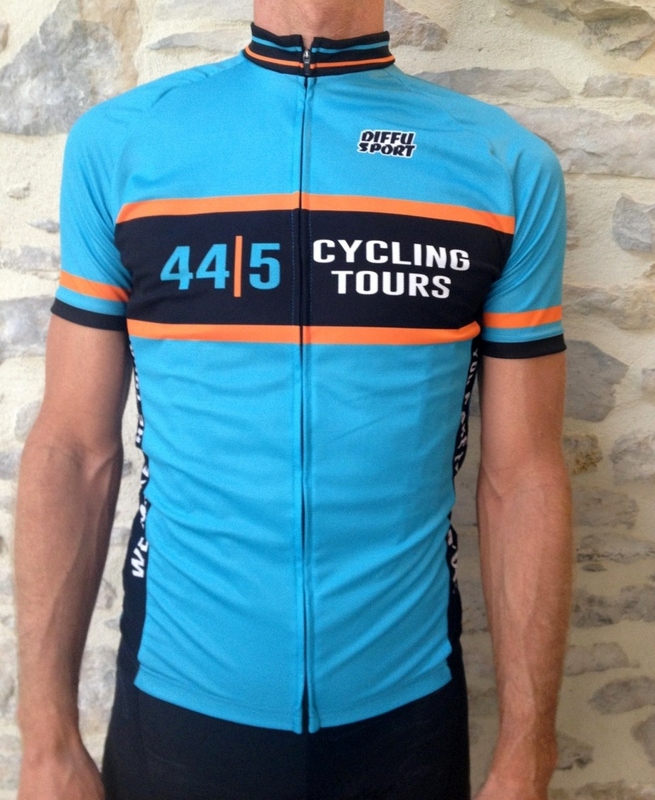 It’s been a long time coming, but the 44|5 Cycling Tours jersey is finally out of the hands of those Romanian sewers (sewists?) and onto our backs. POC need to do something about their blue. It doesn’t match. We’ve got a whole box of these babies, by the way. 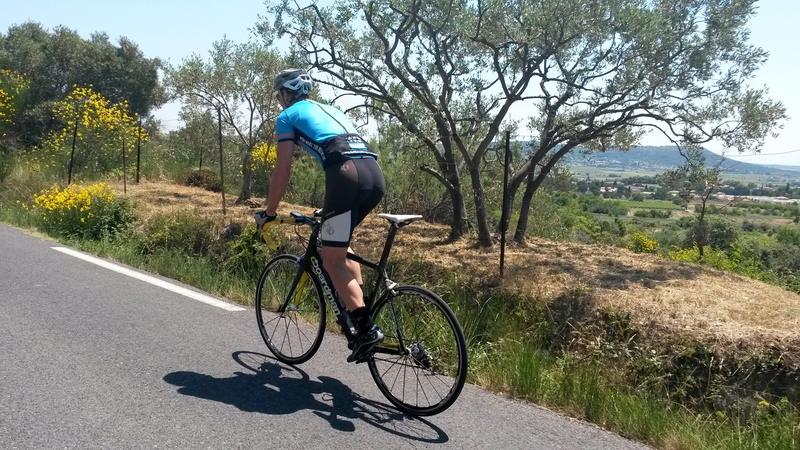 We’ll ship overseas, but the most agreeable way to get one is to come to the south of France. I had a PB on John’s hill repeat hill, so I guess they are! Are they available for old people? They are indeed. They are even ‘Euro cut’ for your svelte figure, TP. Is there an order form on the website? TP, I’ll email you, but the answer is ‘no’, unfortunately. Interesting you should say that. We wanted something vaguely retro (we’re both kids of the 60s and 70s) and if Gulf didn’t come up in conversation, it must have been there subconsciously, now that I look at some of the color of the cars! Working on losing about 10 lbs so I can wear mine when it comes in the mail! I’m working on the same thing, Sam. I hope you’re having better luck than me. Very nice. I don’t suppose you make them in ‘hack commuter’ size..?